We were very privileged this year to be selected as one of the Best Places to work in NJ earlier this year. And it gets even better! This month we made the prestigious Inc5000. 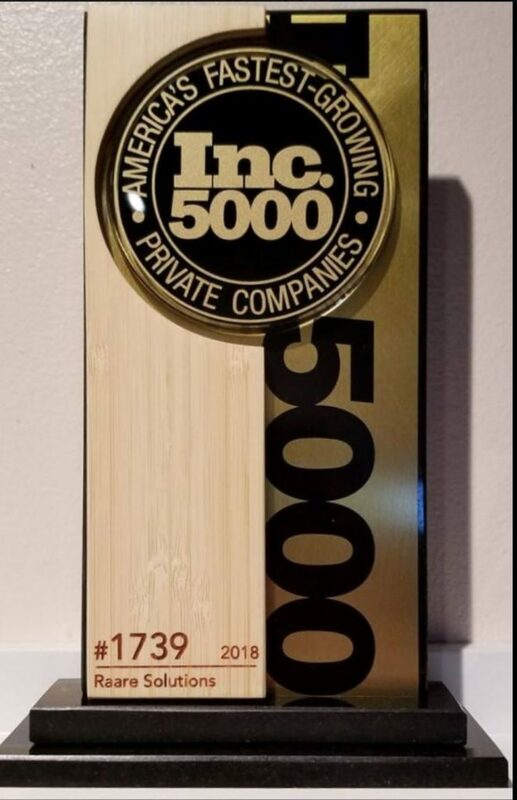 That’s right, Raare Solutions was selected as one of the fastest private growing companies in the America. ​​​​​​​Coming in at #1739 is astonishing and rewarding. It reinforces that not only do we have an A-mazing team, but that Raare Solutions truly does bring huge value to our clients. Wanna learn more? Contact us or better yet, schedule a free assessment to find out how we can fix your CRM campaign performance.